So if you sin, and you do (1 John 1:8), who do you talk to to get forgiveness? Do you talk to a man, or do you talk to God? No man can forgive your sins, only God can, and also no amount of “works” or “penance” can clean your sins. The only way to forgiveness is through the relationship with God, through Jesus Christ. Somewhere throughout history, certain churches took it upon themselves to change how sins are forgiven. These churches are not following the true scriptures, obviously, or else they’d realize that what they are offering is wrong. Going into a box and confessing your sins to a man, who then offers you forgiveness is wrong, and impossible. That man is equal to you, regardless of his schooling and training, in the eyes of God. What makes him able to forgive your sins? Nothing! 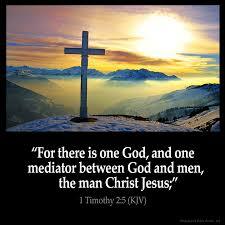 Jesus Christ is the only one who can offer to mediate for you to God. Christ does not ask for payment, either monetary or acts of penance. All Christ asks for is to believe, to follow, and to repent. Your sins are forgiven through Christ, talk to Him and bypass the people making the false claims. Christ hears all your prayers and will forgive you through grace and not by works. Our only guidebook to true life is The Bible and we must use it to make the correct choices in life.